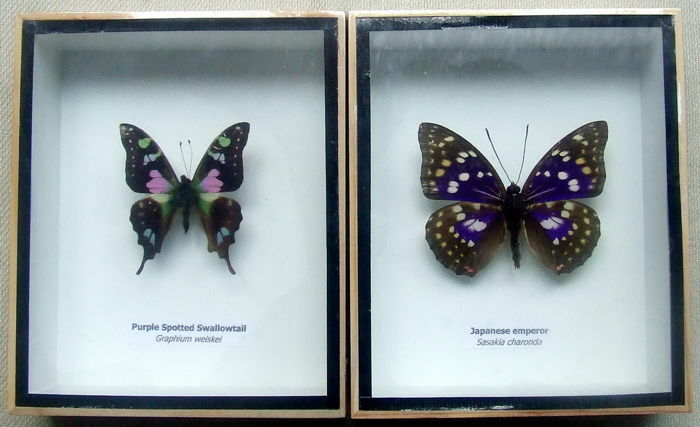 Two exquisite butterflies in wooden boxes – 15 cm by 12,5 cm (2). South East Asia, non-CITES species. 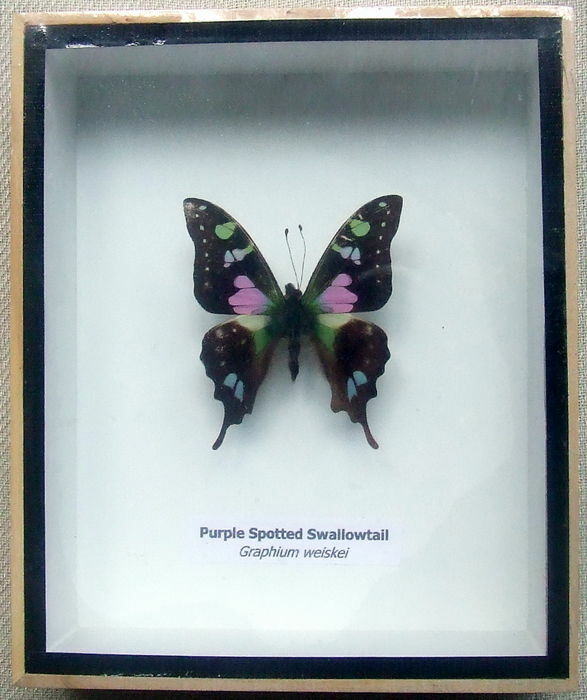 They are mounted in identical natural wood colored boxes of 15 cm by 12,5 by 4 cm. 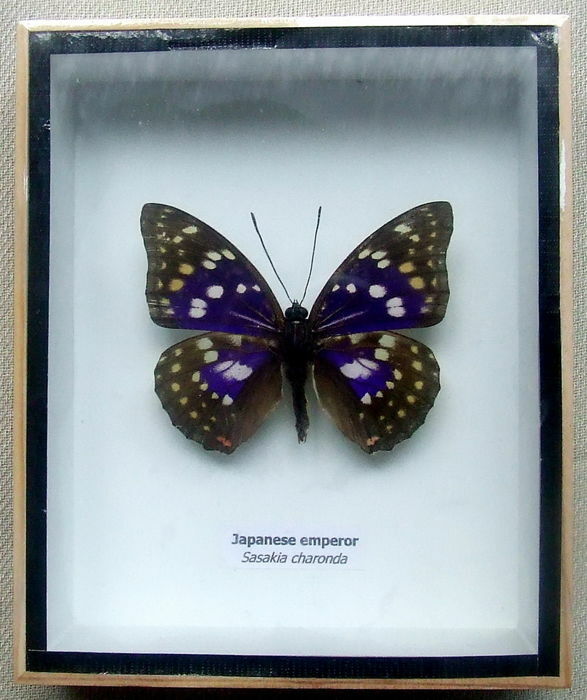 The butterflies are mounted on a little piece of wood, so that it looks like they are hovering. The English and Latin names are written in the boxes, see the pictures.